Joan has wanted me to blog about my experience writing out the vision for our church. I guess I should give a bit more background than you’ve been told so far. If you’ve been paying attention, then some of this will be review. Fanning the Flame is for church re-vitalization. We have a team of about ten people and we call ourselves the Servant Team. We are the people who get all the training and our “jobs” (as I understand it now) is to take what we learn and spread it to the congregation as a whole (Joan, if this is wrong, please correct me!). As a team we were “assigned” to pray and meditate daily for two weeks. During this time we were to concentrate our prayers and our thoughts on our church; how do we see our church in the future, to ask the Lord for “vision” of what he would have us do. I personally found this difficult because, as a working person, I hardly have time for any Bible study or devotions. I had to carve out the time to do this. And then you wonder while thinking of the church: is this me or an idea that the Lord put in my head? We were to put the ideas on 3×5 cards. After two weeks we collected the cards and I handed in a few. The cards were then sorted roughly into groups such as Discipleship, Missions, Outreach, etc. and handed to me. My job at this point was to go through and pull all the cards together into a narrative. Some of us only handed in a few cards but others had quite a bit. I had a stack about 3 inches high. I developed an outline first, making a heading with the group name and then going through all the cards in that group and making a bullet point for each idea. This outline was four pages long (yes, typed pages!!). Many of us had the same ideas in the same group, so that made it easier. The biggest twist on this writing assignment was that I was to write this from the future looking back. So I dated my document in 2028 and proceded to write a history of the past 10 years. Now I have to tell you here that I was praying this whole time. I’d have my christian music playing in the background and I would try to stay in a state of worshipfulness. But I just completed the easy part. Creating the outline was just a matter of jotting down ideas. Now the harder part started. I had to go over this outline and just write. I wrote in spurts over several days and I’m not sure how I got it all in there but when I was done almost all ideas (a few small ones didn’t make it) were in a new four page document. While I was writing I just would pray “Lord, give me the words” and I would just keep typing (it’s keyboarding now isn’t it? Oh well…). I really can’t take credit for the narrative. I just sat down, prayed and wrote. A part of me says that I should have been scared about doing this, but I never was. I just trusted that the Lord would give me the words. And He did. I just finished reading the book “The Case for Christ” by Lee Strobel and I felt I should mention this book to others. I love reading articles and books that confirm the Bible in history, and Lee Strobel’s book fits that description perfectly. A movie has been made from this book and I have to tell you that I haven’t seen the movie, yet. I’m more a book person and will read the book, if available, before I see the movie. I’m always asked how the movie compared to the book and usually I have to say that there is always more details in the book. Now, this book is wonderful for anyone who is wanting to include historic facts to their evangelism. Lee Strobel, who was once an atheist, goes on a quest to prove Jesus didn’t exist. His wife came home one day and told him she was now a Christian and he had to prove how wrong she was. Lee, who is a well known investigative reporter, starts interviewing the experts from all over the country, bringing all the questions and doubts that he and others have raised. At the end of each chapter there is a list of questions for deliberation or for group study. Lee gives a full list of citations and a topical index at the end for further study. The book is in three parts: Examining the Record, Analyzing Jesus and Researching the Resurrection. In each part is the transcripts of his conversations with each expert. It’s not what I would call an easy read. While you are reading you need to pay attention to what is being said. However, the book flows and pulls you into Lee’s quest up to the part where he makes his own decision to follow Christ. For any skeptics that are reading this I would encourage you to pick up the book or, at least, see the movie. For the Christians reading this, I would encourage you to read the book so that you can add some of the references to expand your knowledge of Biblical history. “Ancient Words” a song by Michael W. Smith kept playing in my head once I got about halfway through this book. Here are the lyrics and a link to hear the song. Isn’t this what we are doing? Sola Fide, by faith alone. Sola Scriptura, by Scripture alone. Solus Christus, through Christ alone. Sola Gratia, by grace alone. Soli Deo Gloria, glory to God alone. Earlier this year I couldn’t tell you all of the Solas off the top of my head, but now they are not only getting into my head they are starting to work down in my heart. Only by faith are we saved by Grace (that would be Grace Alone, but that’s next!). So, what is faith? We all have faith. It goes hand in hand with trust. We have faith that the sun will rise in the morning, that we will wake up, that most people will follow the driving laws. We have trust in our banks, our schools, our government… at least until that trust is broken. Sometimes I struggle with this. Faith and works, works and faith. I’m not saved by what I do. I can be the best person I can be and still, I am a sinner. All have sinned and fall short of the Glory of God. (Romans 3:23) I can do works all the time, you know the stuff… feeding the poor, helping the homeless, but if I do it out of a sense that I have to do this to be a good person, then I’m doing it for the wrong reason. Right thing; Wrong Reason. People will say “Oh, what a good person you are…”. That is not the right way to go about it. My struggle? Just writing this blog is a struggle. I don’t want people to pat me on the back because I have the “confidence” or “skill” to write on the internet where anyone and everyone can see it. It’s not me. I don’t write because I want praise. 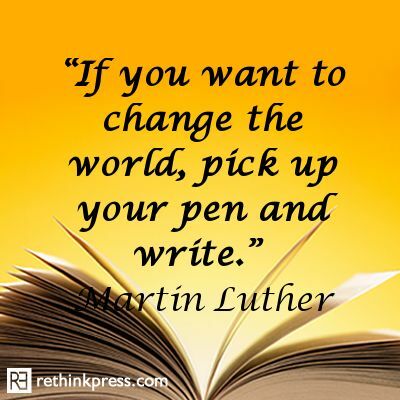 I write because I feel compelled to help others understand. I don’t go to church so others will see me there, I go to church for me. I need church more than the church needs me. I don’t do the things I do for praise. I do them for the Lord. Only by Faith Alone am I saved…. In an earlier post, Beth Ann talked about having a journal. Many people do. They keep lists of people they are praying for, prayer requests, and answers to pray. That’s a fine thing to do. However, just as there are many ways to pray, there are many ways to journal. Although I like to write, for many years I could not seem to succeed in keeping a journal. Why? I guess I had the idea that my journal should be full of my “best” writing. Or my journal had to be a way to organize my prayer life. Then in a class on spiritual direction, I was told, “remember, your journal is just for you. Nobody else has to read it.” That was freeing … now, as the post title indicates, my journal is a jumble. I write down Bible verses that strike me, quotes from books, or ideas that pop into my mind. I save newspaper articles, Sunday bulletins, movie tickets, notes from friends and other things that I like or that remind me of what I was doing, feeling and thinking. It usually takes me over a year to finish a journal and I now have about ten. It’s enlightening to look back and see where I was spiritually and how far I’ve come. It reminds me of how God has cared for me through all sorts of problems, always providing the insight, people and activities to move me along in my journey.My journal is truly “just for me.” I doubt if it would make sense to anyone else. Take sermon notes, your Pastor will love you! Your journal can become your personal way of speaking to God. Make it a prayer. Happy Journaling!